Niacinamide is a form of vitamin B3 that forms when the body absorbs more niacin than it actually needs. This chemical can be found in many different kinds of foods including green vegetables, beans, whole wheat, barley, fish, eggs, and meat. Niacinamide is also a common ingredient in many oral vitamins. It is often used in place of niacin because both are essentially the same nutrient, but niacinamide is believed to have fewer side effects. Doctors recommend taking a vitamin containing niacinamide because if you were to try to get the proper amount of niacin in your diet through the food you ate, you would end up being deficient in other vitamins. Why Does Your Body Need Niacin? Niacin and niacinamide are important nutrients to your body. They are both soluble in water, which means that your body will simply get rid of the excess through urine, and will not store it. This means that in order for you to be healthy, you need a constant supply of niacinamide or its sister compound. Niacin is important to the human body for many reasons. First, it protects your heart by reducing the amount of bad cholesterol (LDL) in your body. It also prevents the collection of plaque in the arteries of the heart. Your body uses this chemical compound to process carbohydrates into energy or into fats, and is responsible for maintaining proper blood sugar levels. Niacin is also believed to help trigger your body to form new DNA. Your digestive system, brain, and nervous system would not be able to function without sufficient amounts of this compound. Doctors are just discovering some of the many properties of niacinamide, and as such, many of the benefits have not been studied enough to be approved for use by the U.S. Food and Drug Administration (FDA). 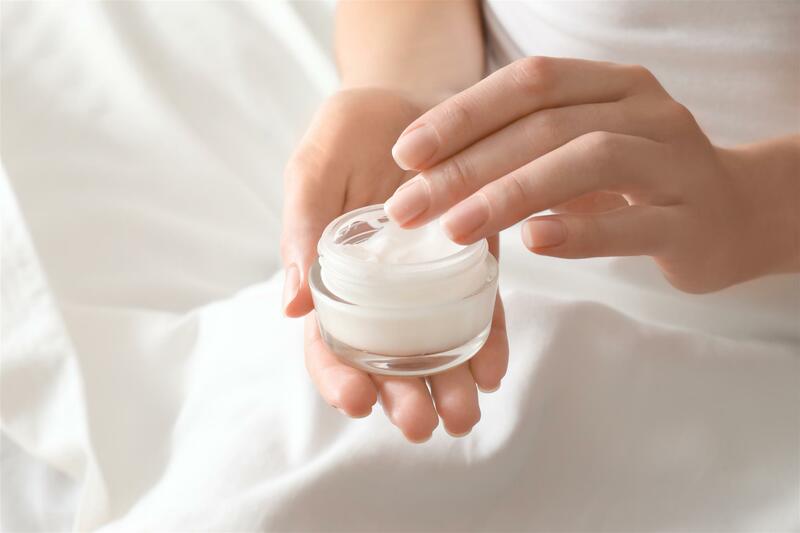 Still, there are many niacinamide creams on the market that profess to improve skin’s tone and texture. The basis for niacinamide skin treatments comes from a series of studies conducted in 2005, where 50 women who showed signs of aging were treated with a niacinamide cream. The result indicated that the women treated with this type of cream showed significantly more improvement in skin elasticity and appearance than women treated with a placebo. Studies also suggest that niacinamide skin care products can reduce the signs and symptoms of severe acne or rosacea by reducing the inflammation of the skin. 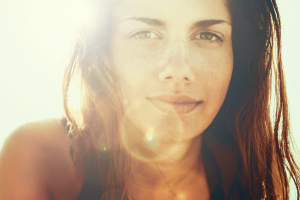 Studies of the benefits of niacinamide creams also suggest that this chemical compound may increase the effectiveness of sunscreen in protecting cells against free radicals. Further studies are being conducted to see whether the cream can get rid of acne scars and other skin discolorations. While niacinamide can be used to treat many different skin conditions, it should not be used by people with liver disease, patients with active ulcers or a history of ulcers, or anyone with gout. Also, if you drink excessive amounts of alcohol, you should abstain from using a niacinamide cream as it may react with the increased levels of alcohol in the body. Women who are pregnant or nursing should not consume more than 35 mg of niacin daily if taking a vitamin or a dietary supplement. Finally, if you use a niacinamide cream for the treatment of acne, dermatologists suggest that you start with a small amount of the cream on your skin so you can take note of any negative skin reactions. If you notice redness or peeling of the skin, you should discontinue use of the niacinamide cream and contact your skin care specialist. Formulyst Active Serum is packed with good for you ingredients, such as nourishing vitamins B and E, and skin brightening vitamin C. Rounding out the all-star list are ferulic acid and niacinamide. The antioxidant ferulic acid fights free radical damage and helps stabilize vitamins C and E, and boosts their potency. Niacinamide also plays a key role- this antioxidant is anti-inflammatory and helps reduce redness. This powerful ingredient is a version of vitamin B3, which works to smooth the appearance of fine lines, improve elasticity and brighten the skin. Try the Pond’s Clarant B3 Dark Spot Correcting Cream. The 1st and 2nd ingredient in the formula is water, then niacinamide. I purchaded the 1.75 ounce for $1.50 at the Dollar General. This stuff worked within 2 hours on my skin. By day 4, my face dermatitis was 75% clear of bumps and dark spots! I went back and bought the last 3 off the shelf. $6.48 bucks total with tax. I love this stuff! I buy mine from LotionCrafter. Of course you then have to formulate it. However, the niacinamide I buy for then is water soluble and their recommended rate of usage is 1-4% of your total formula. I love what it can do for skin plus it is cheap…bonus! What is the recommended dose or usage or Niacinamide topically? I haven’t been able to find any information on what an appropriate concentration is in skin creams and how often it is safe to use these creams. Twice daily too much? Once a week? I’m an estheticican and I’ve gotten questions about the safety and effectiveness of B3 for skin care. I have heard about a brand called Nia24, they use Niacinamide in all their products. I am now aware of any other Niacinamide Creams that have high concentrations of Niacinamide. I have been interested in using these products but have have not seen them anywhere but online. Does anybody know of any other Niacinamide products? I’m sure many cosmetic manufacturers use this but I am not willing to go up to all the beauty counters and ask this.